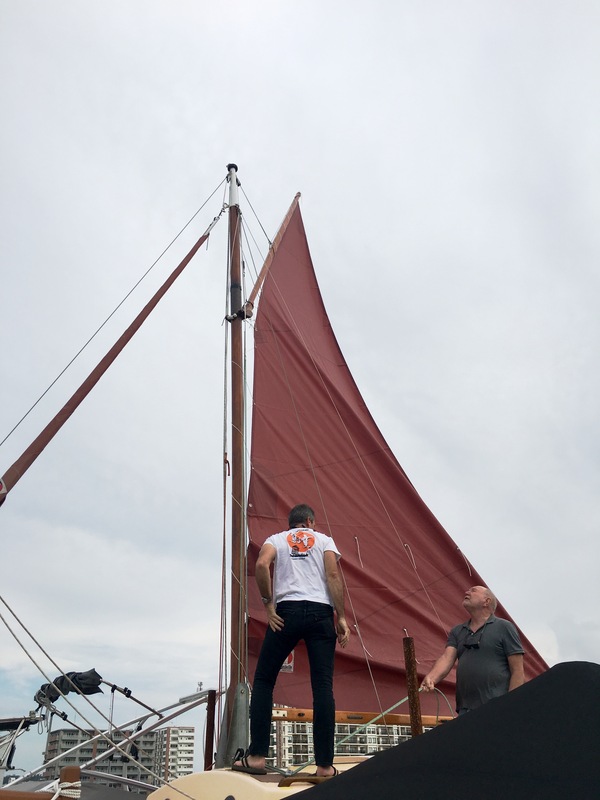 So, the Norfolk Gypsy is a sailing boat and thus needs sails to work properly. 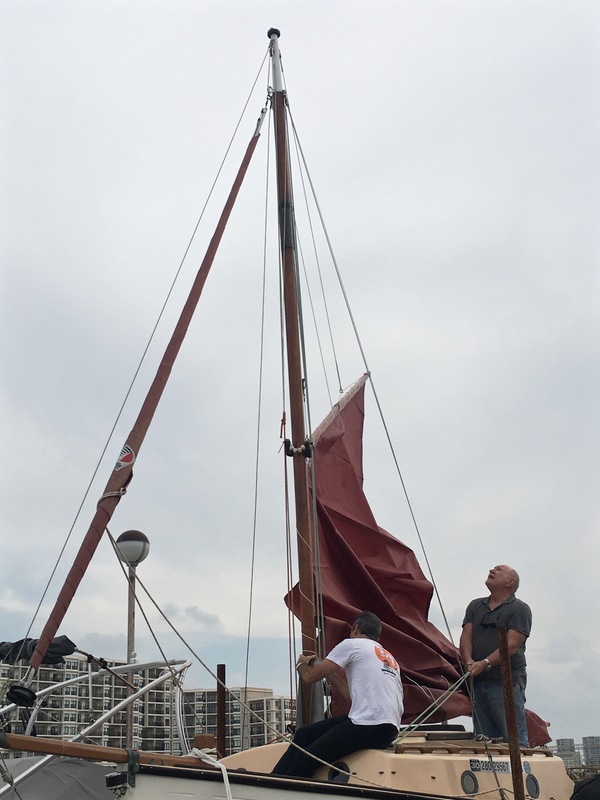 An important part of the refurbishment is a set of new sails. Today the mainsail is bent. 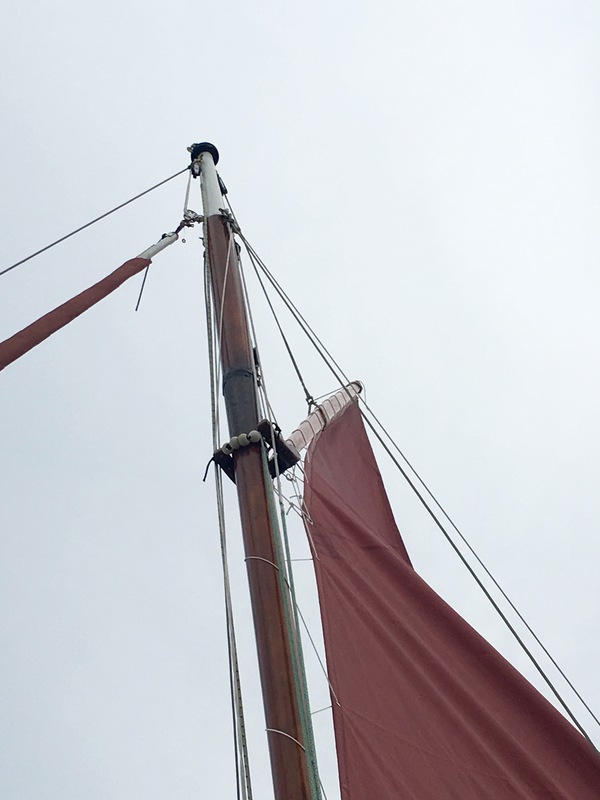 Sails are difficult to manage as, even in the mildest wind they fill, billow, flap around and behave badly. 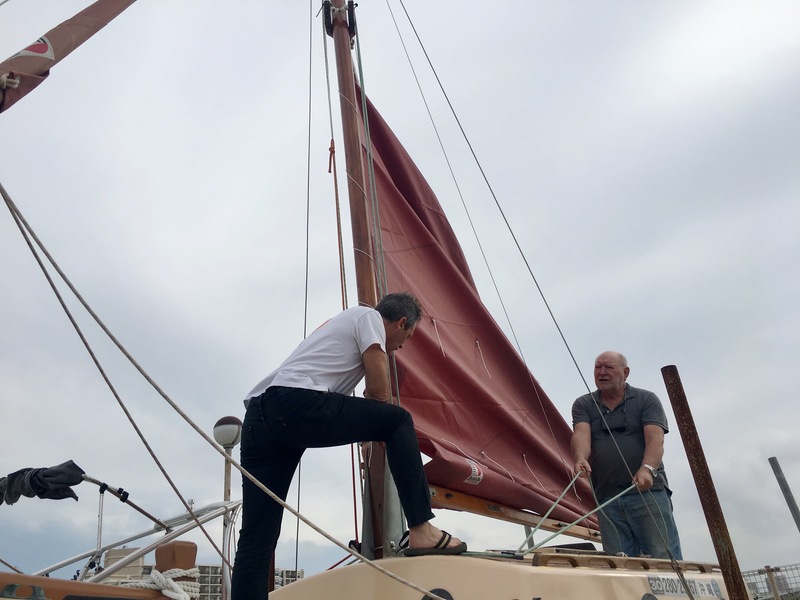 Harry and Eri come down to help me bend on the mainsail. Why bend on, rather than tie on, lash on, attach, tie on, install etc, I do not know. I have no idea really of how to do this. I have an ancient owners manual that is confusing. The terminology is also challenging, throat, peak, luff, spar, leech, etc. 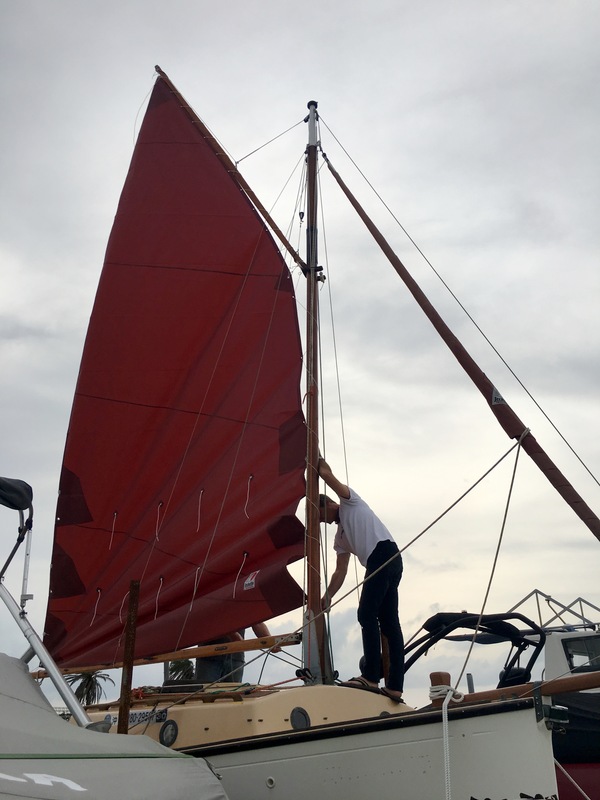 Through trial and error, we stumble closer to raising the mainsail. She looks like a sailing boat! The sail is on, but badly. I will spend the next days in trying to improve the way the sail is set. Yay, Harry and Eri! Brexit is worse than awful. Lacing a gaff sail to the mast is also awful, probably one of the astronauts selection tests. 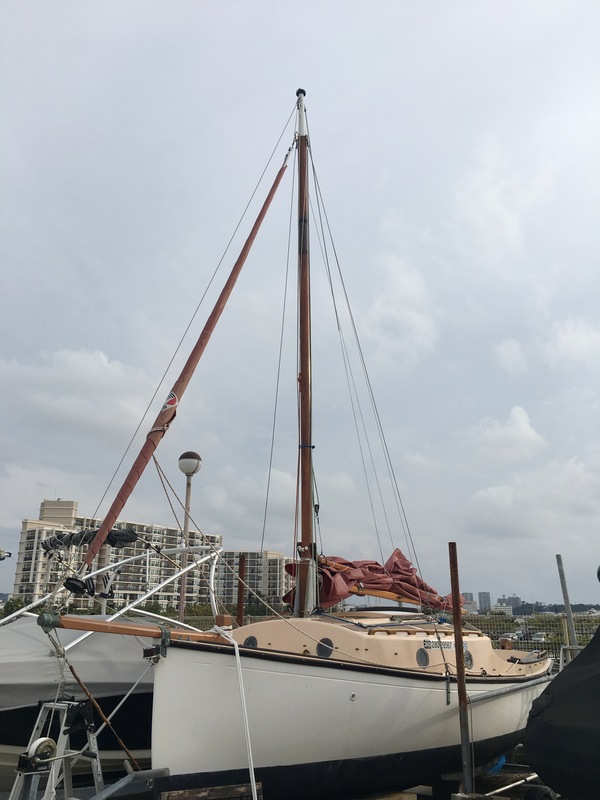 A simple spiral will jam, the line has to go back on the same side of the mast, hard to explain. 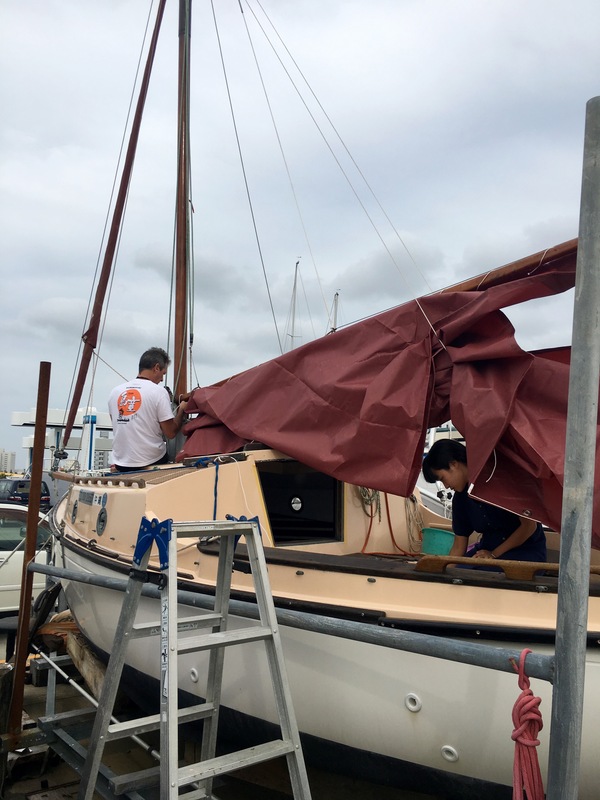 If you look up “Lacing a gaff rigged sail” you will find advice.